To test the Blackmagicdesign Decklink 4k Pro card I want to use to test my open source SDI implementation photonSDI against, I connected a cheap HDMI to 3G SDI converter to a HDMI port on the computer, configured the HDMI output to 1080p60 mode (60 full frames per second with 1920x1080 pixels each) and the SDI output to the input of the Deccklink card. To transfer the 1080p60 video stream, the link has to run at 3G SDI line rate, but since both converter and capture card support 3G SDI this should work out of the box. At least that’s what I thought. Turns out that it didn’t and the capture card detected the SDI format as 1080p30, only managed to capture a frame every 5 to 6 seconds and even those frames were garbled. 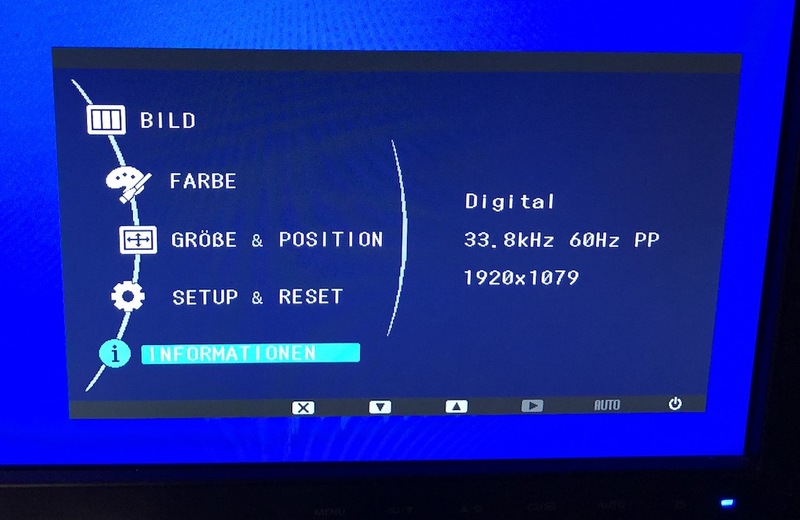 When connecting the SDI output to a cheap 3G SDI to HDMI converter instead of the Decklink card, I got the expected 1080p60 signal on the HDMI output. I still wonder if the problem is on the Decklink side or on the converter side, but I will probably find that out when I have photonSDI in a working state. After some hours of not very successful debugging, but luckily before I started trying to build a FFMPEG version with decklink support, Kjetil in the IRC channel #photonsdi on freenode suggested that the problem might be that the devices might use an incompatible channel mapping. The video stream is transferred in two streams that each use a HD-SDI (1.5G SDI) link each. The video stream is transferred as one stream using the full bandwidth. The video stream is split into two streams with HD-SDI data rate that are multiplexed over the 3G SDI link. I include this mapping for reasons of completeness: This channel mapping allows to transfer two HD-SDI streams over one 3G SDI link; this can be used to transfer stereoscopic material. The Decklink card only supports the channel mapping B for 3G SDI video streams while the cheap HDMI to 3G SDI converter outputs 3G SDI with channel mapping A. When configuring the HDMI output of the computer to 1080p30, the converter outputs a HD-SDI video stream that the Decklink card can capture. TL;DR: Beware that there are different incompatible 3G SDI channel mappings and not every device supports all of them.